The Houses of Parliament – This is one of the most impressive of London’s buildings where the politicians of the country sit in two “houses”. The buildings are best viewed from Westminster Bridge or the opposite side of the River Thames where you get a good view of the huge clock tower containing “Big Ben”. There’s tourist access on Saturdays and parliamentary holidays and the tours are interesting, informative and enjoyable. You’ll get to see most of the significant areas inside including the mark on the door made by Black Rod when the Queen visits parliament, and the damage from bombing during World War 2. Nearest tube: Westminster. 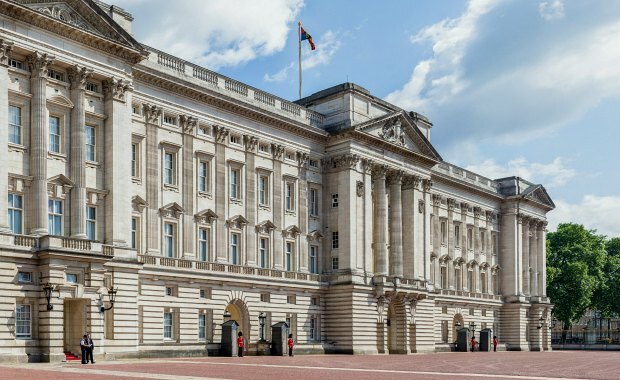 Buckingham Palace – The London home of the Queen is open to tourists for a short while in the summer. It’s well worth visiting too as you get to see most of the luxurious state rooms. At other times you can stand by the railings to peek through and watch what’s going on. If the Royal Standard is flying on the flag pole, the Queen is in residence. Nearest tube: Green Park. St Paul’s Cathedral – The Millennium footbridge is a great way to get to St Paul’s Cathedral from Tate Modern on the other side of the river. You have to pay a substantial fee to get in which always annoys us, but once inside there is a trip you can do going up to the dome. This is a fantastic experience, and there is also the opportunity to go outside and look at the views of London. On the dome level, you’ll find the famous “Whispering Gallery” where the acoustics allow you to whisper to someone on the other side and still be heard. Nearest tube station is St Pauls. 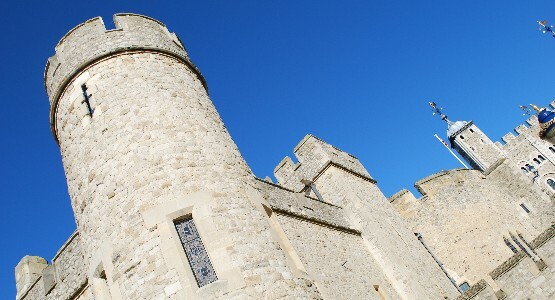 The Tower Of London – This place has so much history, it would be impossible for the “Beefeater” guides to mention it all. Almost every major event in Britain’s royal history has a connection to the Tower. On your visit you’ll get to see the Crown Jewels, which hardly look real, but the oldest bits of the tower made up for that. Don’t miss Traitors Gate where those who were condemned made their entrance to the Tower from the river – it still has an air of death about it somehow! Also look out for the famous Ravens that inhabit the Tower of London. The nearest tube station is Tower Hill. 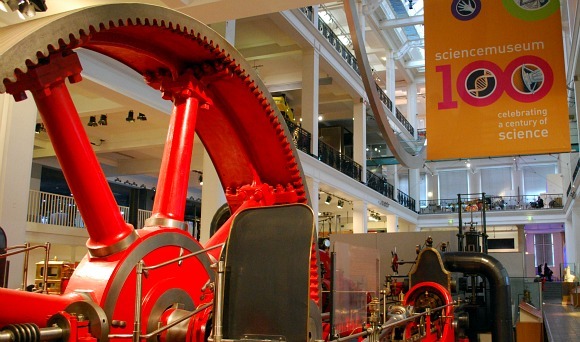 National Museums – As the capital city of the UK, London is home to many of the country’s national museums. You’ll need to pick the ones that interest you most, but they’re all free and so fascinating, you can spend hours in them! Our choices would be the National Portrait Gallery at Trafalgar Square housing paintings by some of the world’s best known artists, The Natural History Museum with its dinosaur bones, The British Museum with mummified bodies and the Science Museum (pictured above) with loads of hands-on activities. Tate Modern – This former power station on the south bank of the River Thames is now the home to a vast array of modern art. It’s worth visiting just to see how the old building has been converted, but if you like your art, there’s plenty to challenge your thoughts inside too. Best of all, it’s free. The restaurant on the top floor is worth visiting too. Nearest tube: Southwark. 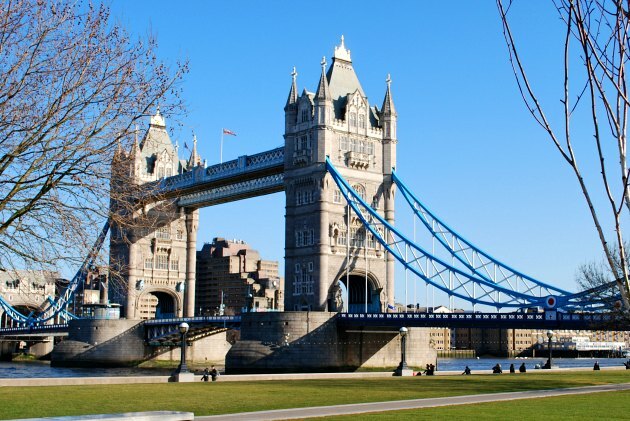 Tower Bridge – Another of London’s famous landmarks. It’s free to cross and free to look at, but if you’re interested in how it works and how they built it, we’d also recommend the tour which you have to pay for. It takes you right up to the top of the towers and back down to the engine room. 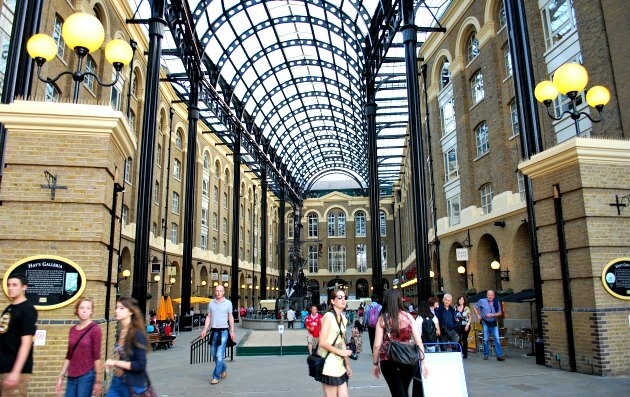 After your tour, take a walk down the re-developed South Bank past the “Bee Hive” mayor’s offices to the Hays Galleria wharf which is full of restaurants and shops. Nearest tube station is Tower Hill. 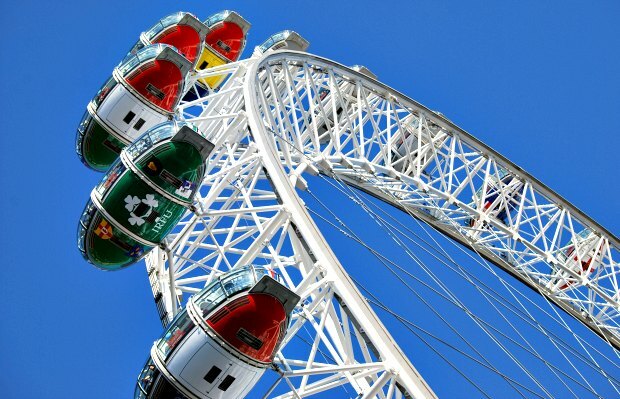 The London Eye – It was supposed to be temporary, but this huge wheel has become a permanently popular attraction. It’s not cheap, but it is a great way to see London from a different angle. The pods rotate slowly all the way round and it takes about 30 minutes to complete your journey from start to finish. The queues for the eye are not as long now as they once were, but at peak times you can still expect to wait in line for a while. The London Eye is at the front of County Hall. Nearest tubes: Westminster, Embankment or Waterloo. 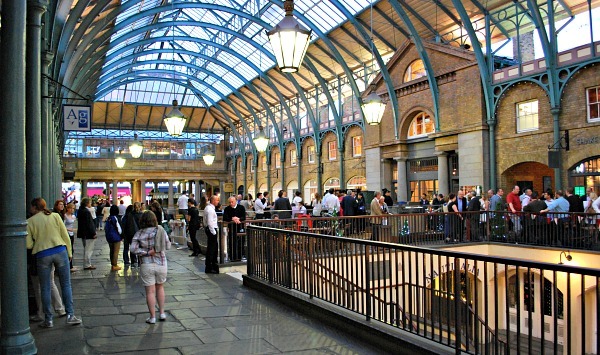 Covent Garden – This area is best known for the former market building which is now packed with bars, restaurants, fancy shops and craft stalls. It’s well worth a visit and you’re sure to find the atmosphere enhanced on busy days with several street entertainers performing on the cobbled areas outside. 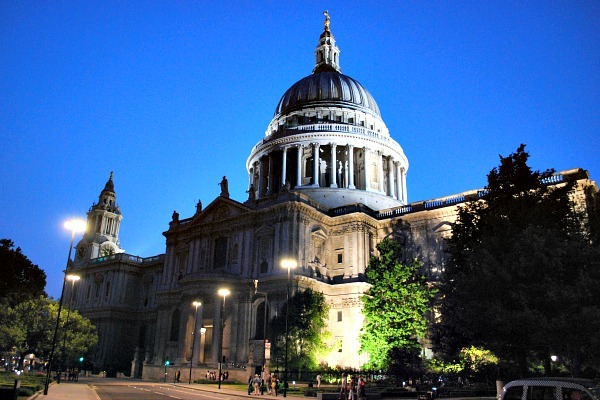 It’s also worth seeing the Royal Opera House and St Paul’s Church. Leicester Square – We always group Leicester Square with Covent Garden because both are busy places to be part of the crowd and we always walk between them to see the little shops along the way. 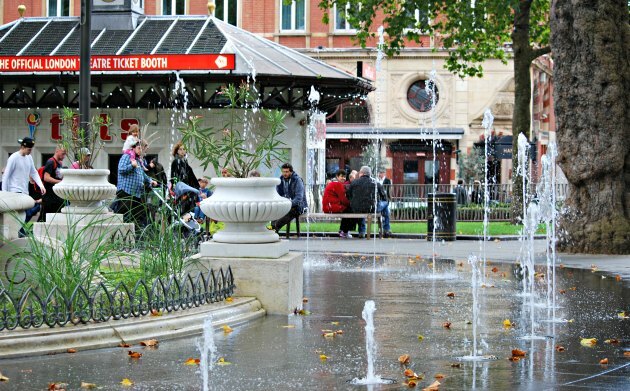 Leicester Square is best known for its movie premieres and discount theatre ticket booths. If you can afford it, watch a movie in the Odeon’s huge main screen where premieres take place every couple of weeks – imagine how many famous people sat in your seat before you! The Royal Parks – London is a very green city with several huge parks to wander around. They all have notable things to see too. 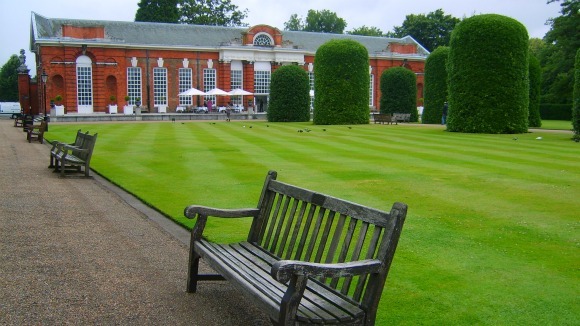 We’d particularly recommend Hyde Park where you can see the Diana, Princess of Wales Memorial Fountain, Regent’s Park where you can enjoy formal gardens and open air theatre, Kensington Gardens and Greenwich Park which is bisected by the Greenwich Meridian. 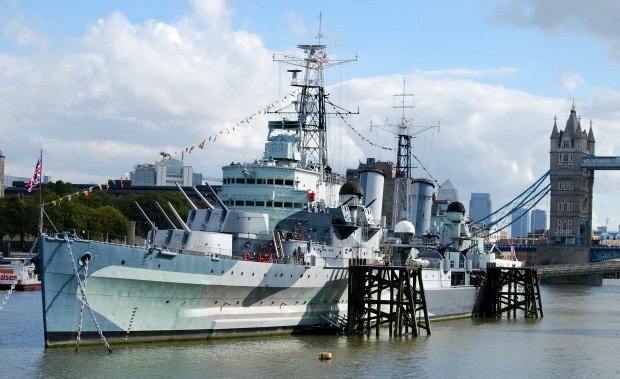 HMS Belfast – There are so many twists and turns inside this old warship, that it takes a good half a day to see it all. You get to see pretty much every bit of it from the torpedo rooms to the captain’s quarters. Our kids loved it and you really get a feel for what it was like to live and work on a warship of its era. The ship served in World War II and also the Korean War before being retired in 1963. The nearest tube stop is London Bridge. 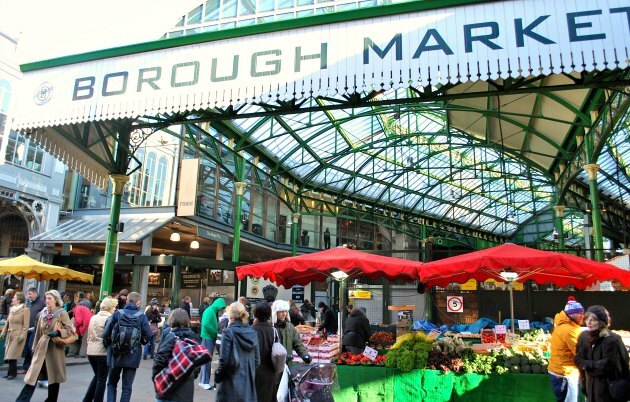 Borough Market – If you want to see an example of a flourishing market in Britain, this has to be one of the finest. In the shadow of Southwark Cathedral, just off Borough High Street this market is a celebration of great food. Cheeses, fruit, vegetables, home-made pies, flowers, olives, meat, currys, pastries, you name it! The market varies in size and numbers of stalls but even in the winter months it’s always busy. Everything looks so good, it would be very easy to spend an absolute fortune. Nearest tube: London Bridge. 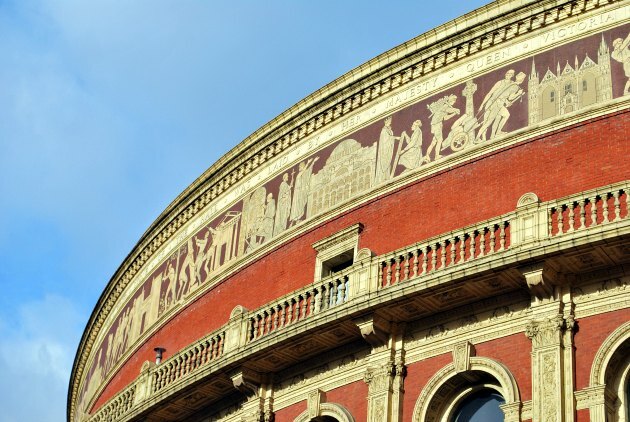 Royal Albert Hall – Not only a familiar landmark, but also a working theatre and concert hall. Named after Prince Albert, whose idea it was to have a multi purpose venue which could hold everything from orchestras to a circus, but he never saw it completed. The building is a beautiful Victorian masterpiece and you get to learn a lot more about it on the guided tours which are available. Although it’s a fascinating tour, we were slightly disappointed that it doesn’t go “behind the scenes” – instead it mainly focusses on the public areas of the hall. You do get to stand in the private Royal reception room however. Nearest tube: South Kensington and then a 15 minute walk. Shakespeare’s Globe Theatre – This is a re-creation of the theatre that became synonymous with Shakespeare’s plays. It was built after a huge fund raising drive and you can now experience plays there regularly. The tour of the theatre is fascinating too and well worth doing. 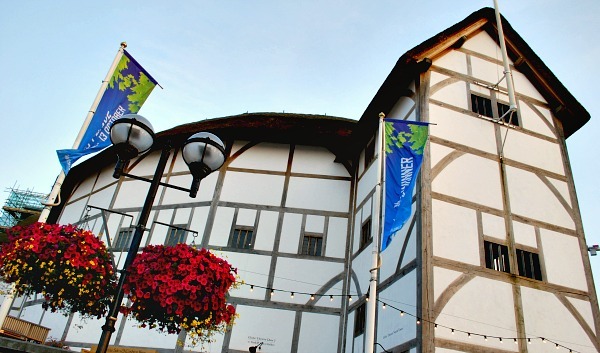 You can’t miss the Globe along the River Thames as it’s so much older looking than the buildings around it! 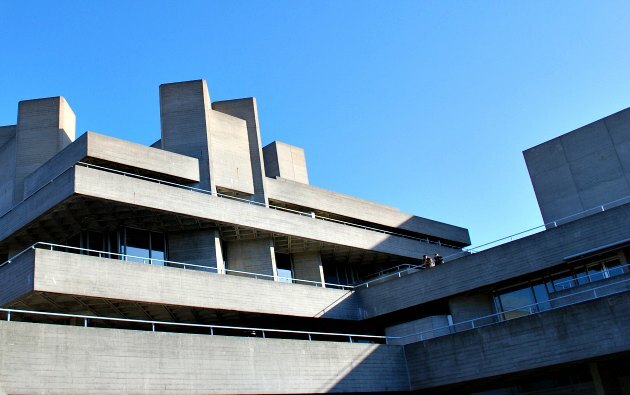 It’s on the South Bank – nearest tubes: London Bridge (10 min walk) or Mansion House (10 min walk). 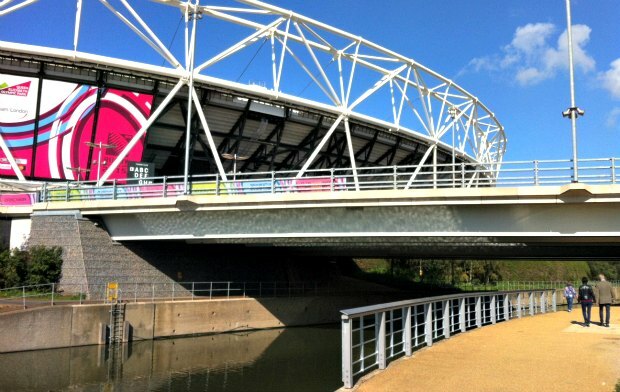 Queen Elizabeth Olympic Park – All the significant structures from the London Olympic Games in 2012 remain in place in this huge area of parkland. You can pop into the Aquatics Centre, watch the track racers in the Velodrome and head to the top of the ArcelorMittal Orbit sculpture for a terrific view of the whole park and of the London skyline. We think the best way to enjoy the park itself is simply to walk around it, but if you have your cycle handy, you’ll do it much faster! 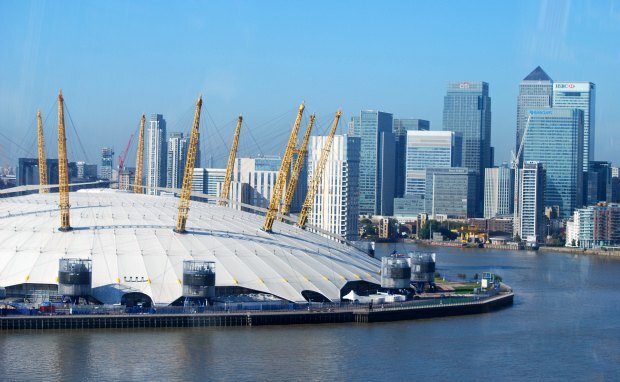 The O2 – Formerly the Millennium Dome. This dome-shaped structure resembles a very large tent and was the centre piece of the UK’s millennium celebrations. It now houses a massive concert arena, restaurants, shops and a cinema. It’s free to enter the concourses and we’d recommend it because it’s a fascinating building to see. Also, next to the dome you can now take the cable car ride over the Thames and back. Tube stop: North Greenwich. 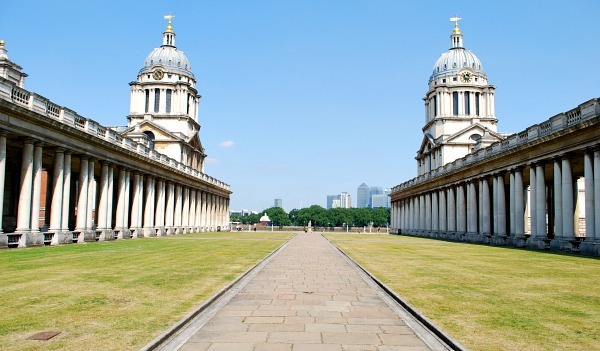 Greenwich – There’s loads to do in this London borough! It’s packed with attractions like museums, Les Miserables filming locations, the Cutty Sark, a lovely market and more. It’s only a short journey on the Tube/DLR but you’ll need to allow a few hours to see everything. Harry Potter Studio Tour – If you love the Harry Potter films, you’ll love to see where much of the filming took place. 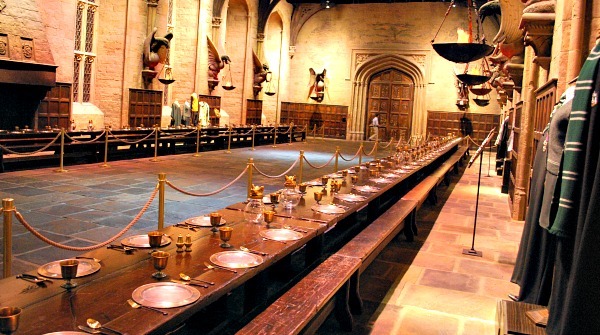 Warner Brothers studios near London were the home to much of the indoor shooting and now all the significant sets and props have been turned into a popular visitor attraction. You’ll see Hogwarts Hall, Privet Drive, Hagrid’s hut, Dumbledore’s office, the Gryffindor common room, the Ministry of Magic etc and all of it packed into two large sound stages along with an outdoor section. Everything you see here is an actual prop from the films, nothing has been re-created. Tickets are expensive, but it’s well worth it and you could easily spend half a day here. The studio tour is about 20 miles from London, so make sure you book Harry Potter Studios tickets with Transport unless you have your own. There is so much to see in London, that we could keep writing for ages. This is a good introduction to the city though, and we’ll gradually expand this page over time. 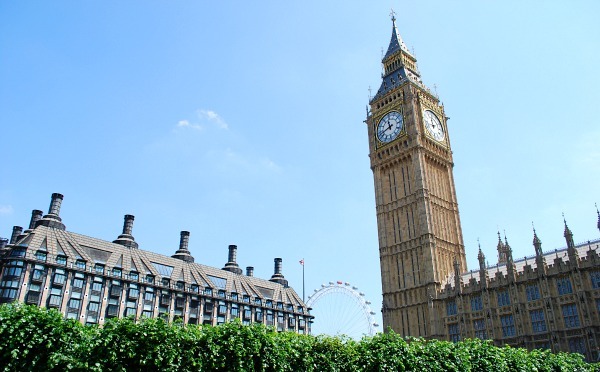 A little tip for you, one way to lower the cost of visiting lots of attractions is the London Pass although you need to be sure you’ll get to as many attractions as possible to make it value for money. 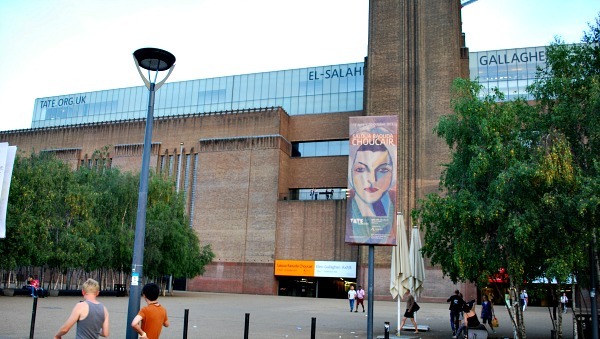 Take a walk down the South Bank from The London Eye to the Tate Modern. It’s quite a way, but it’s a great introduction to London. Along the way, you’ll see many of the major sights and mingle with joggers and cyclists. Call in at the cafes and restaurants in the Royal Festival Hall area, and we can thoroughly recommend the behind-the-scenes tour of the National Theatre (pictured above). If you have the energy continue your walk to see HMS Belfast, Hays Galleria (pictured above), London City Hall (The Beehive), Tower Bridge and the Tower of London. We have stayed in many hotels in London but there are only a handful that we’d really want to go back to. We like the Park Plaza Sherlock Holmes Hotel in Baker Street. We’ve stayed here twice and were impressed both times with the quality of the rooms and the modern, tasteful decor. The location is good as the tube station at Baker Street is one of the best for access to all areas of London and Hyde park is only a 5 minute walk up the road. Some rooms only have a shower, but if you ask for a bath, you often get a more spacious room. 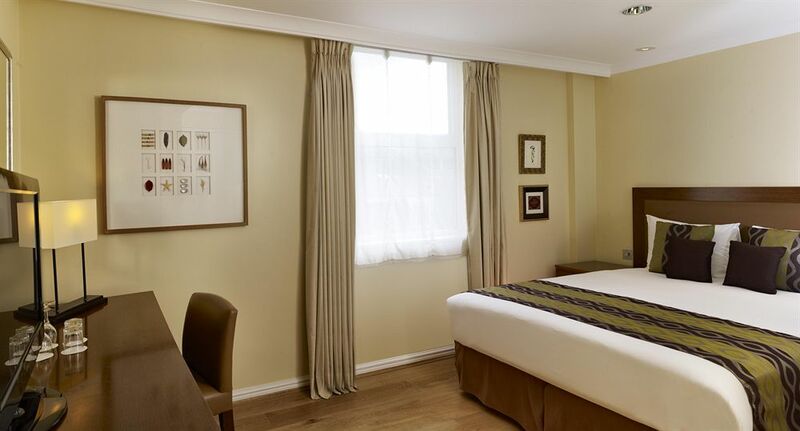 We also like the Megaro Hotel which is just across the road from St Pancras Station. This is a small independent hotel which prides itself on great quality for a great price. The rooms are a little on the small side, but they are lovely, luxurious and comfortable. You will need to get the tube to most attractions, but you do almost everywhere you stay in London. The safest and simplest way to travel is by London Underground (known as the tube). One thing to bear in mind though, if you’re only going a couple of stops, it may well be quicker to walk. Tube tickets are available from the ticket offices and automated machines in all stations. If you’re planning to take more than 4 journeys in a day, it’s cheapest to buy a one day travelcard. If you have a contactless card, you can use this to pay as you go. We’ve also used the Hop-on Hop-off Bus Tour as a way to get round which is a great way to see the sights and learn more about them at the same time. There are a number of companies that do these bus tours and they can be quite expensive, but you can get a discount on the Original Sightseeeing Tour here. If you’re flying out of Heathrow, we recommend parking on the airport site rather than off-site. In the past we have used the official Airport Parking and been very happy with the service. Busses to all terminals are frequent and the journey time is small compared with off-site parking.